The House GOP on Monday night unveiled their long-awaited healthcare legislation, which they hope will replace former President Barack Obama's signature Affordable Care Act -- commonly known as "Obamacare." On behalf of the Trump administration, Health and Human Services Secretary Tom Price tweeted his letter of support on Tuesday morning to congressional committee chairmen, in which he said the new "American Health Care Act" aligns with President Trump's goal of "rescuing Americans from the failures of the Affordable Care Act." "These proposals offer patient-centered solutions that will provide all Americans with access to affordable, quality healthcare, promote innovation, and offer peace of mind for those with pre-existing conditions," Price wrote. At a Tuesday afternoon White House press briefing, Price said the bill is a "work in progress." While the Trump administration has come out in support of the proposed AHCA legislation, here's what critical Republicans are saying about what Sen. Rand Paul calls "Obamacare Lite." 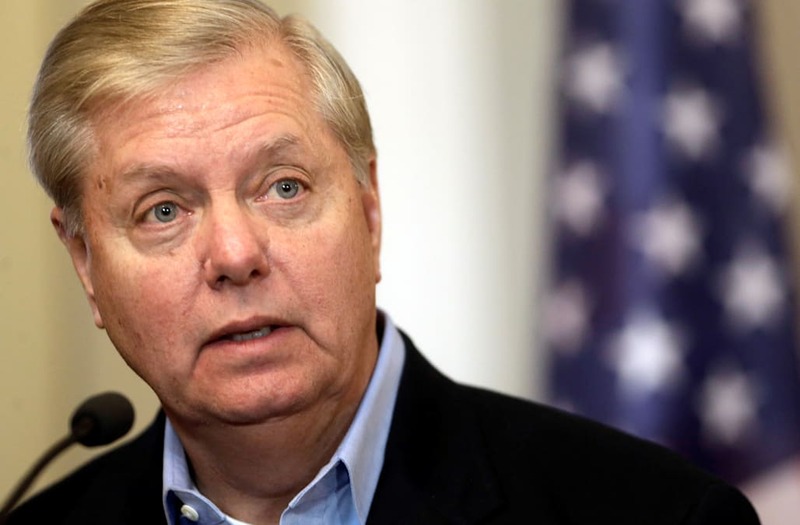 Sen. Lindsey Graham on Tuesday told reporters that he doesn't "feel a need for speed" when it comes to passing an Obamacare replacement. "I've always been concerned that the public needs to absorb this. We're not going to be judged by when we did it but how we did it," Graham said. He added that moving quickly "is a risk we're going to take if we don't slow down here a little bit." In a Tuesday morning radio interview, Sen. Roy Blunt commented on the newly proposed legislation. "Well, I haven't had time to look at it in great depth yet, so we'll see," Blunt said to KMBZ local radio. "What I don't like is it may not be a plan that gets a majority votes and let's us move on. Because, we can't stay where we are with the plan we've got now." Sen. Rand Paul hit the House GOP plan hard on Tuesday morning, naming it "Obamacare Lite" in a tweet from his senatorial Twitter account. He went on to rebuke the rolled over insurance company subsidies and individual mandate. "We own repeal. We ran on it. It is our idea. We have to pass it cleanly, now. Then we owe the American people a real-old fashioned period of allowing all ideas to be debated and voted on to produce the best product possible." In a joint letter to Senate Majority Leader Mitch McConnell, these four Republican senators expressed concern that drafts of the AHCA did not do enough to protect those who receive most of their health care coverage through Medicaid. "Any changes made to how Medicaid is financed through the state and federal governments should be coupled with significant new flexibility so they can efficiently and effectively manage their Medicaid programs to best meet their own needs," the group wrote. "We also believe a gradual transition is needed to ensure states have the time to successfully implement these new changes." Sen. Lee issued a statement on the AHCA Tuesday, calling the bill a "missed opportunity and a step in the wrong direction." "We promised the American people we would drain the swamp and end business as usual in Washington. This bill does not do that. We don't know how many people would use this new tax credit, we don't know how much it will cost, and we don't know if this bill will make health care more affordable for Americans. This is exactly the type of back-room dealing and rushed process that we criticized Democrats for and it is not what we promised the American people." The conservative group known as the Tea Party issued a "Full Repeal Means Full Repeal" statement on Tuesday, describing the disappointment of Tea Party grassroots activists as those who have "stood in the rain" advocating for a full repeal of Obamacare. "The bill that House Republicans released last night does not fully repeal Obamacare. Congressional Republicans must realize that Obamacare cannot be 'fixed,' because it is not fixable. The fact remains that Obamacare is a complete disaster for the American people, and Congress must pass a bill for President Trump to sign that will keep its promise to repeal Obamacare in full and restore freedom, choice, and competition in our health care system."